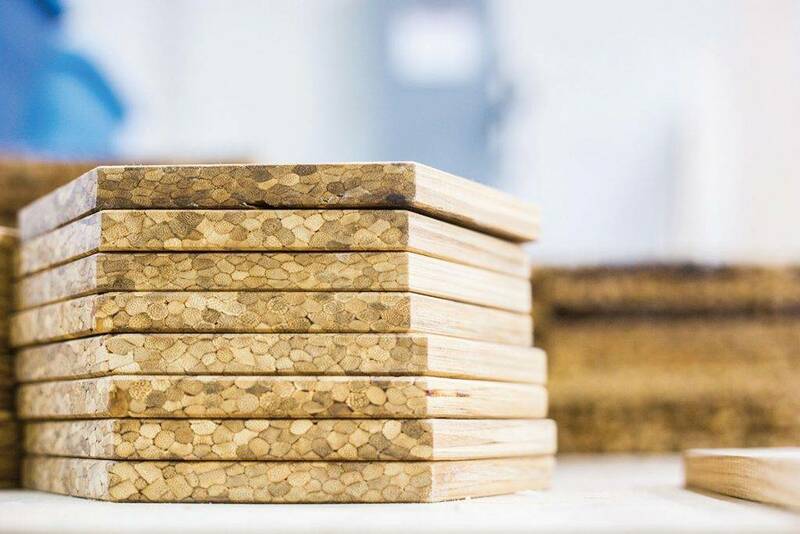 Born out of frustration at the wasting of a beautiful renewable resource, ChopValue transforms thousands of used chopsticks into a striking new building material. Next time you go for sushi or noodles in Victoria, the chopsticks you use could end up as part of a sleek side table or geometric wall décor. 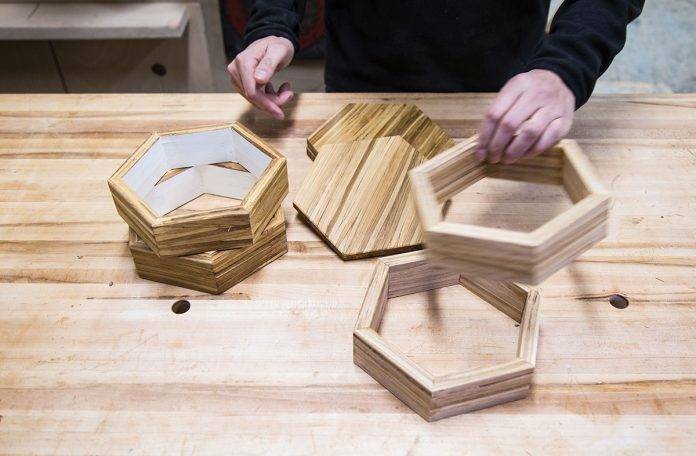 ChopValue, a Vancouver company that has set up a collection facility in Victoria, can upcycle chopsticks into a high-performance composite bamboo material they use to create tiles, shelving and furniture. It’s even used for architectural panels and custom interior design projects. According to Felix Böck, founder and CEO of ChopValue, the idea grew out of a confluence of events. 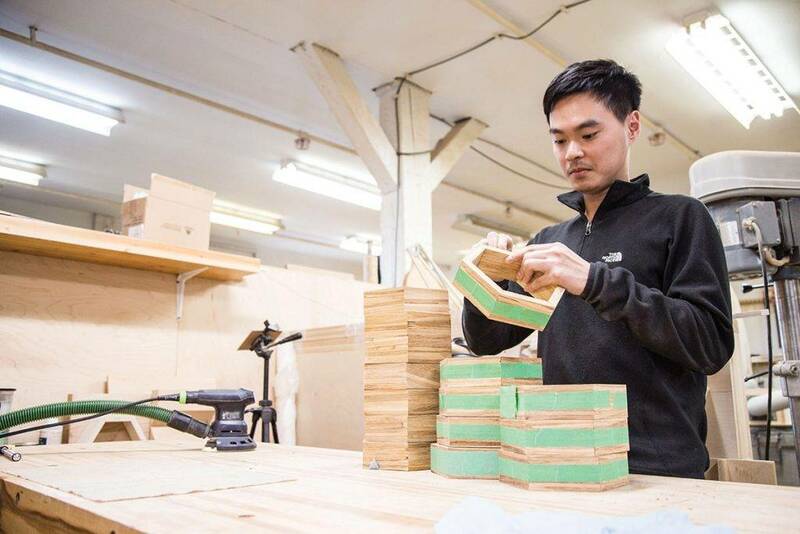 “When I moved to Vancouver [from Germany], I noticed there was a lot of Asian restaurants that use chopsticks, and I’m doing my PhD on bamboo products, so throwing out these beautiful bamboo chopsticks made me frustrated,” he says. 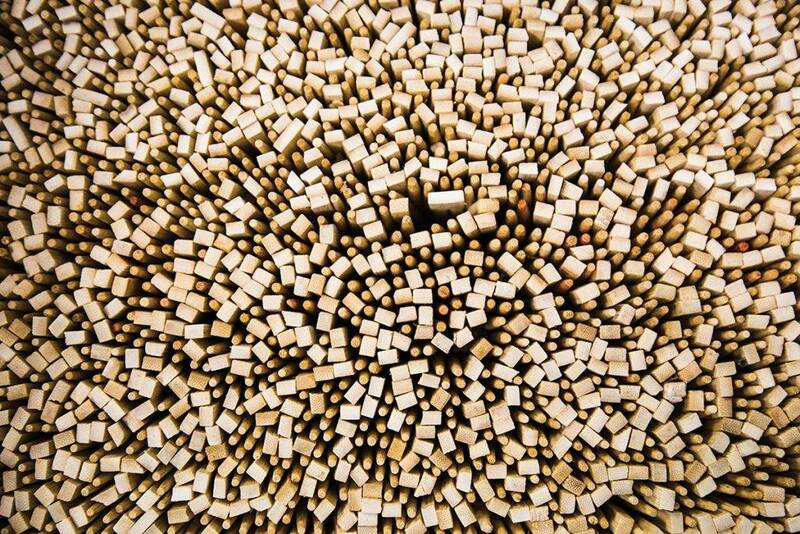 Billions of bamboo chopsticks are shipped over from China each year only to be used once and tossed in the trash. Böck estimates 100,000 chopsticks are thrown away every day in Vancouver alone. While they should decompose quickly in the landfill, he points to the carbon footprint of its harvesting, production and shipment. ChopValue obtains this “resource” from its network of partner restaurants. Once the collection loads arrive in the production facility in Vancouver, workers sort and align all of the chopsticks so they are ready for a water-based glue bath. After a drying process, they enter a hot press where they get formed under a lot of heat and pressure into a new material. “That new material is the functional unit we use for making our design products,” Böck says. One of the initial challenges that ChopValue faced was convincing restaurants to join the program. Many didn’t understand why someone would want to collect their garbage for free. “It’s a big responsibility on our end to educate and be fully transparent about what we do when we reuse or upcycle chopsticks,” Böck says. 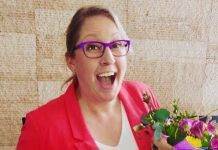 “That usually gets them excited, inspired and involved. The program does make their lives easier.” Some of the restaurants even commission custom furniture from ChopValue. 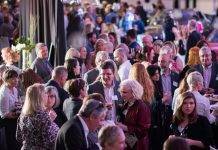 Here in Victoria, local non-profit The Food Eco District (FED) — whose vision is to create a more sustainable food economy — helped connect ChopValue with a number of Victoria businesses. According to Holly Dumbarton, project manager at FED, this win-win partnership helps restaurants reduce their landfill waste while providing ChopValue with a steady stream of material for their products. “The circular economy is a big part of where we need to go for future sustainability,” she says. While Victoria wasn’t initially on ChopValue’s radar when it was expanding, Böck says people here were actually asking for it, so the company decided to try to run it as an extension of the Vancouver business.